2015: photos and updates from the first quarter of the container garden’s life. i built a brush trellis with bradford pear saplings for my sugar snap peas. we had a late freeze, so i had to cover all my seedlings with bedsheets overnight to protect them. almost everything survived. first harvest: a bit of greens and one radish. it rained non-stop and everything grew like crazy. eating greens we grew ourselves was a revelation. harvesting radishes, turnip greens, romaine, arugula. 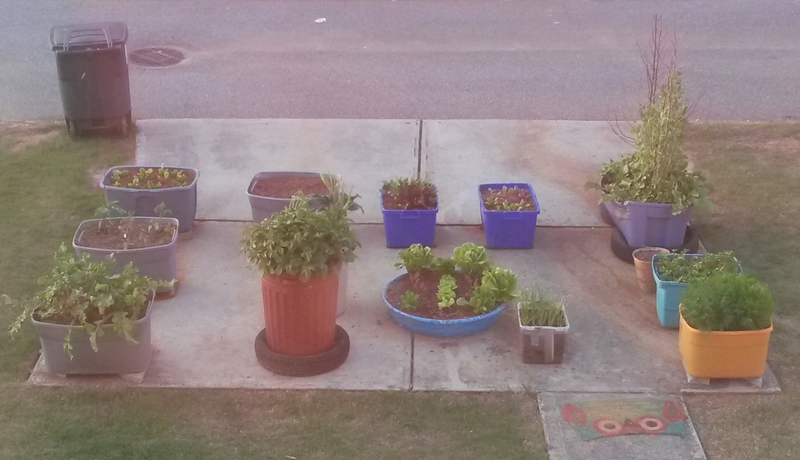 this was the week my neighbors starting noticing the garden and i got a lot of compliments. 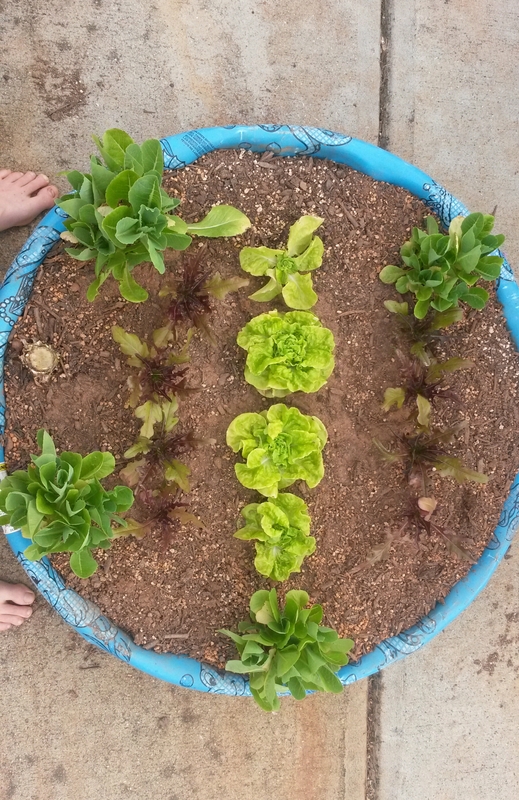 i tried to encourage others grow a little food. torrential downpours and lots of green harvest. tomatoes went in the ground. washing everything was quickly becoming a big time-sap. two months in and i had grown a decent amount of organic produce. arugula bolted and i planted okra in its place. i also unsuccessfully tried to start peppers and tomatoes from seed without grow lights or heat pads, go figure! peas finally fruited! sugar snaps straight off the vine are a highlight of any garden. i build hybrid stake/cages for my tomatoes and peppers using 2×2’s, 50 feet of galvanized fencing, and fence nails. so much cilantro, we were drinking cilantro mango smoothies.